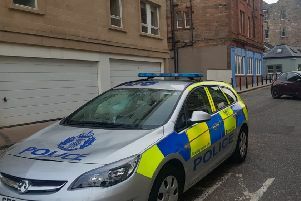 The 41-year-old was arrested following an incident on Saturday, 26 January at Jarnac Court in Dalkeith. He was released on bail to appear at Edinburgh Sheriff court at a later date. Sergeant Dougie Grieve from Dalkeith Police station said: “We wish to make the public aware of this incident in the hope that it deters anyone from doing this. “The supply of alcohol to youths not only places their safety at risk but the associated anti-social behaviour following alcohol consumption can hit communities hard. Anyone wishing to report or provide information regarding this issue should call Police on 101 or alternatively call CRIMESTOPPERS on 0800 555 111.